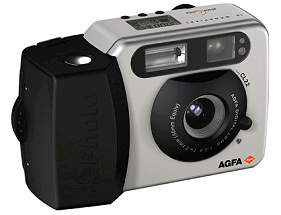 Agfa CL22 - 1999. Cancelled. Iomega Zipcam Comdex - 1999. Shown, but not marketed. 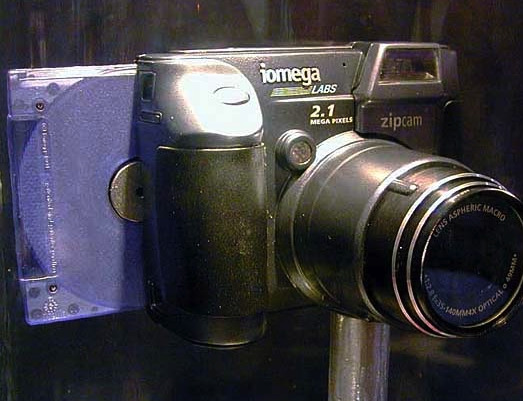 Zipcam was a prototype digital camera shown at Comdex 1999 by Iomega (Iomega Labs) that used 100 MB Zip disks. 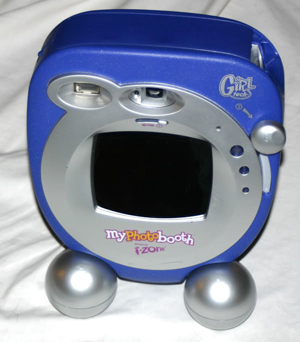 The 2.1 megapixel camera had a body that was a bit larger than a 100 MB Zip Drive, with a larger lens housing on one side. 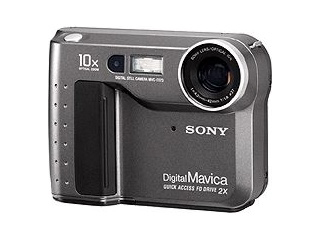 It had Iomega Labs, 2.1 Megapixels, and ZipCam logos written on the front. 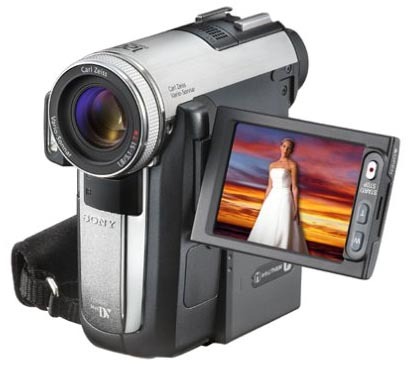 Although this history site is mainly concerned with cameras and other items marketed in 1998 or prior years, a number of later miscellaneous items have been added to the collection from time to time and are listed below. 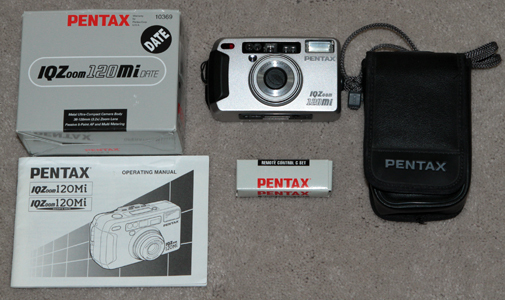 PENTAX IQ ZOOOM 120MI DATE - 1999. F/5.0 - 12.5, 3.5 optical zoom, 38-120mm. Five-point autofocus system. This camera and many others were donated to the museum collection by our good friend and travel companion, Joan Klonowski of Grants, New Mexico. HP PHOTOSMART C200 - 1999. One megapixel camera. KODAK DC215 Zoom - 1999. Announced 3 August 1999. 1152 x 864 pixels. ISO 140. F/4 29-58 mm zoom. 4MB Compact Flash. Shutter 1/362 sec to 1/2 sec. MSRP $349. KODAK DC215 Millennium 2000 - 1999. Similar to above, but gold in color and with a larger flash card. 1152 x 864 pixels. ISO 140. F/4 29-58 mm zoom. 8 MB Compact Flash. Shutter 1/362 sec to 1/2 sec. MSRP $449. 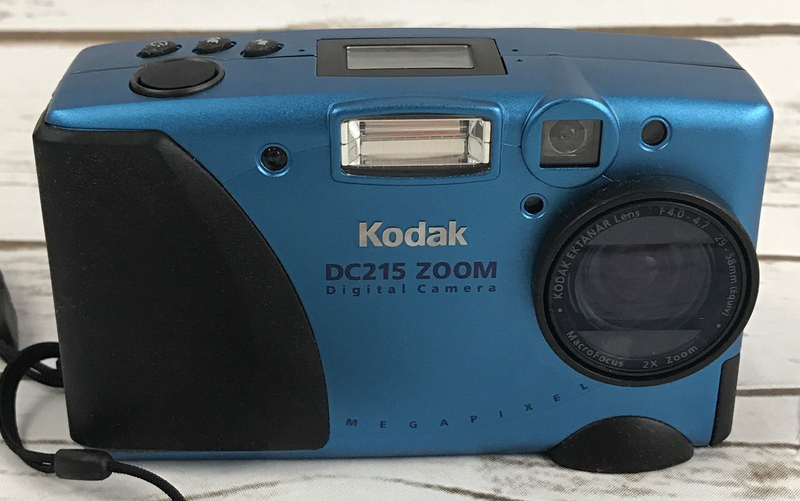 KODAK DC215 Zoom Blue Mettalic - 1999. Similar to the above models, but in a color Kodak called Carribean Blue. 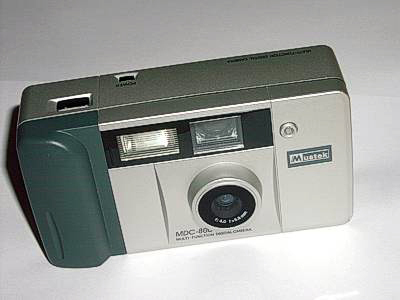 This was one of several metallic-like colors Kodak intended to sell in the U.S. Apparently, the project was dropped with perhaps just a few cameras sold. The above camera was purchased on eBay and is of unknown rarity. MSRP $449. KODAK DC240 Zoom - 1999. 1280 x 960 pixels. ISO 140. F/2.8 39-117 mm zoom. Compact Flash. Shutter 1/755 sec to 1/2 sec. $699. MUSTEK MDC-800 - 1999. Still / video camera. ISO 100. F/4 fixed focus. 1012 x 768 pixels. Shutter 1/10,000 sec to 1/10 sec. $399. 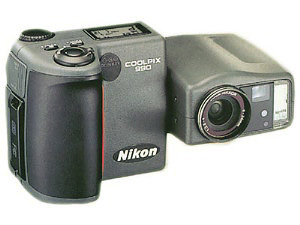 NIKON CP950 - 1999. 1600 x 1200 pixels. ISO 80-320. F/2.6 38-115 mm zoom. Shutter 1/750 sec to 8 sec. $1,000. 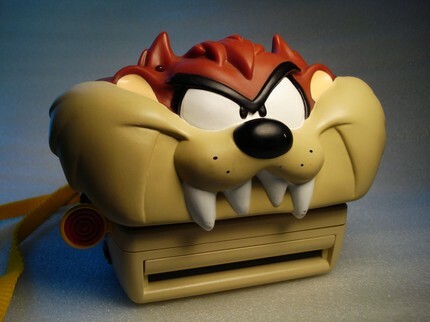 POLAROID TASMANIAN DEVIL - 1999. Polaroid 600 instant film. Made in collaboration with Warner Brothers Looney Tunes. $35 in 1999. 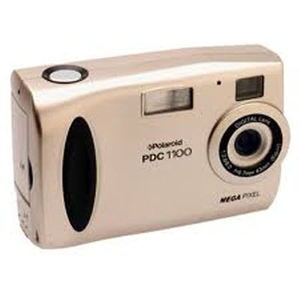 POLAROID PDC 1100- 1999. 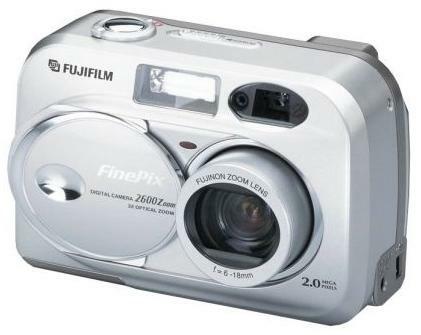 A relatively inexpensive digital camera, $349 in 1999. 1152 x 864 pixels, 2X digital zoom, ISO 140, 42mm, F/2.0 lens. POLAROID MY PHOTO BOOTH - 1999. The My Photo Booth camera has a mirror below the camera lens. It can stand on a table, move forward and backward to capture the best pose. When the red light flashes, My Photo Booth is about to take the picture. The flash goes off and after the click you can remove the film. My Photo Booth uses instant Polaroid I-Zone film. After removing the film, the picture will develop in about 2 minutes (one inch by one inch prints). SONY MVC-FD73 - 1999. Floppy disk camera. 640 x 480 pixels. ISO 100. F/1.8 40-400 mm zoom. Shutter 1/4000 sec to 1/60 sec. $599. 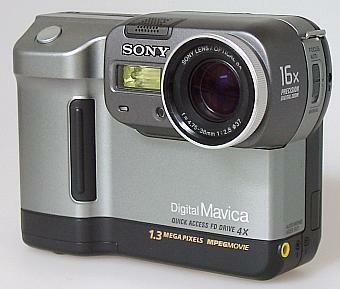 SONY MVC-FD83 - 1999. Floppy disk camera. 1024 x 768 pixels. ISO 100. F/2 37-111 mm zoom. Shutter 1/4000 sec to 1/8 sec. $799. SONY MVC-FD88 - 1999. Floppy disk camera. 1280 x 960 pixels. ISO 100. F/2.8 34-270 mm zoom. Shutter 1/4000 sec to 1/60 sec. $999. PANASONIC PV-SD4090 - 1999. 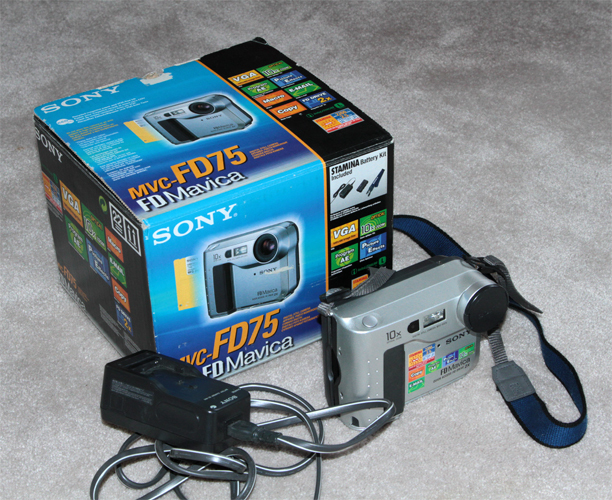 In 1997 Sony marketed the MVC-FD5 and MVC-FD7, the first ever digital cameras using a standard floppy disc as the storage medium. 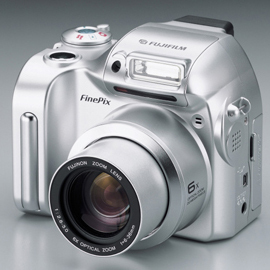 These cameras proved to be very popular and at one time accounted for almost 40% of the U.S. digital camera market. In 1999 Panasonic marketed the PV-SD4090 floppy disc camera to also compete in this market. The PV-SD4090 had two rather unique features. It had a switch on the side of the lens for opening and closing a built-in lens cover, and it could use an Imation SuperDisk that had much greater storage capacity than an ordinary floppy disc, 120MB versus 1.44MB. 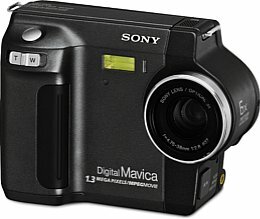 The PV-SD4090 was not as popular as the Sony models and in a few years both the Sony and Panasonic models faded from the market as other means of JPEG storage became more popular. 1.3MP CCD (1280 x 960 pixels). 3X optical zoom, f/2.8-5.2. 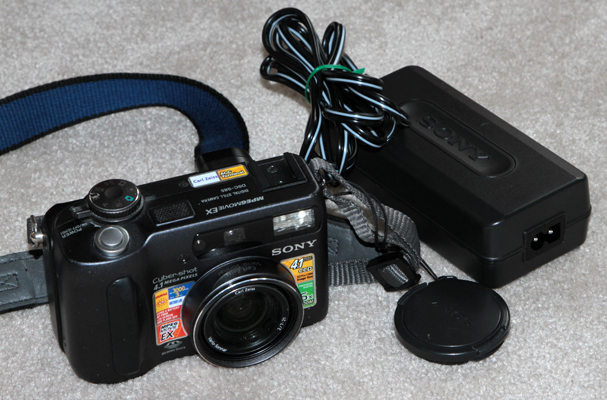 The above camera in excellent working condition was purchased on eBay for $41. MSRP $1,000. LEICA MINILUX ZOOM - 1999. The Minilux Zoom was produced from 1999-2006. Lens 35-70 mm f/3.5-5.6. MSRP was $750. 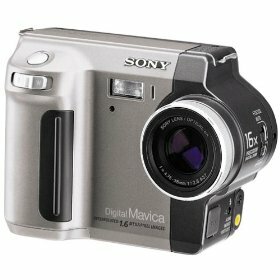 This camera was given to me by my beautiful niece, Faa, whose photo can be seen on the 1997S page under the Sony Mavica MVC-FD5. Like many film cameras these days, it has spent recent years in a dresser drawer. In fact, it shows no signs of use whatsoever and appears to have just been purchased. TOSHIBA PDR-M4 - 1999. Purchased on eBay, the M4 is seldom found in such a complete, well-kept condition as this. Upon investigation, it turned out that the previous owner graduated from my high school one year behind me! LEICA DIGILUX Zoom - 2000. Announced February 2000. 1280 x 1024 pixels. ISO 125. 38-114 mm zoom. Shutter 1/2000 sec to 1/4 sec. $599. 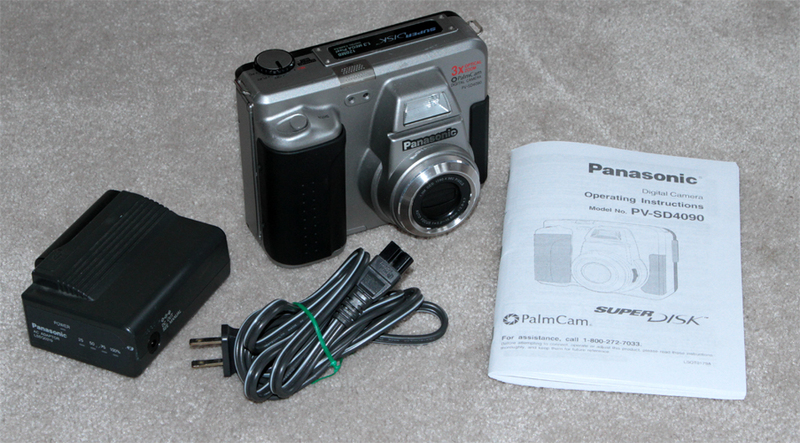 OLYMPUS C-211 Zoom - 2000. Printer camera. 1600 x 1200 pixels. ISO 100-400. F/2.8 35-105 mm. Shutter 1/1000 sec to 1/2 sec. $799. 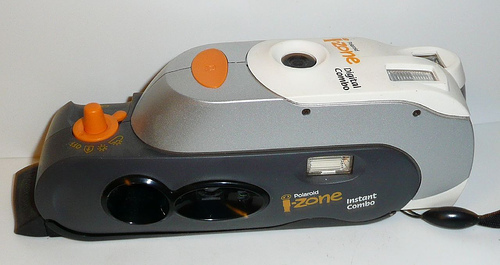 POLAROID i-Zone Digital Combo - 2000. 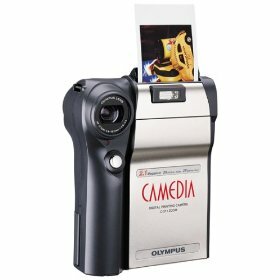 Combination instant and digital camera. 640 x 480 pixels. $100. 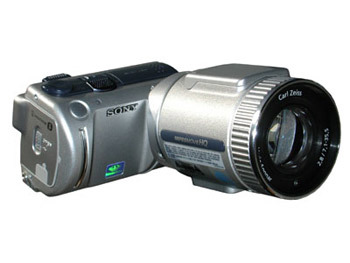 SONY MVC-FD85 - 2000. Floppy disk camera. 1280 x 960 pixels. ISO 100. F/2 37-111 mm zoom. $700. 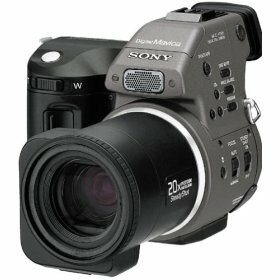 SONY MVC-FD90 - 2000. Floppy disk camera. 1280 x 960 pixels. ISO 100. F/2.8 34-270 mm zoom. $900. SONY MVC-FD95 - 2000. Floppy disk camera. 1600 x 1072 pixels. ISO 100. F/2.8 37-370 mm zoom. Shutter 1/500 sec to 8 sec. $1100. SONY MVC-CD1000 - 2000. First mini disc camera. 1600 x 1200 pixels. ISO 100. F/2.8 37-370 mm zoom. Shutter 1/500 sec to 8 sec. $1299. 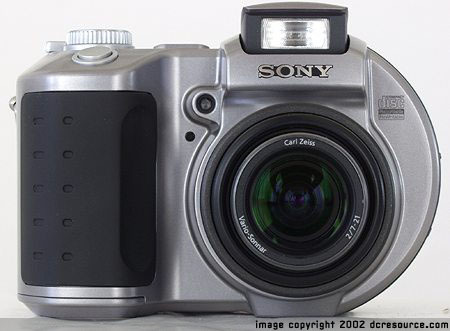 SONY DSC-F55V - 2000. 1856 x 1392 pixels. F/2.8 37 mm. Shutter 1/1000 sec to 8 sec. $830. 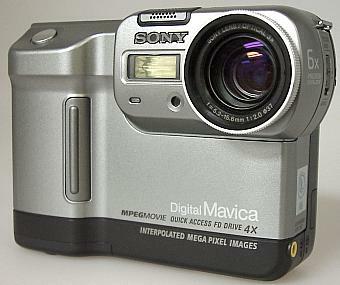 SONY DSC-505V - 2000. 1856 x 1392 pixels. ISO 100. F/2.8 38-190 mm. Shutter 1/1000 sec to 8 sec. $1100. UMAX ASTRACAM 1000 - 2000. 640 x 480 pixels. F/2.8 fixed. $129. 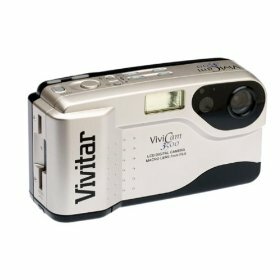 VIVITAR VIVICAM 3500 - 2000. 1360 x 1024 pixels. F/5.6 40 mm fixed. ISO 170. Shutter 1/3500 sec to 1/3 sec. $200. KODAK DC3400 - 2000. Why it pays to check eBay frequently. Someone cut away the the outer case to show the guts of this camera similar to the way some manufacturers do with clear cases. This unique camera along with its acrylic case was purchased on eBay for a mere $10 (original MSRP $499). 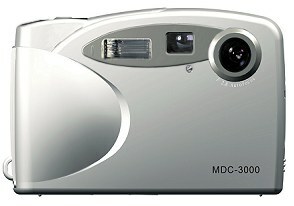 Olympus C-4040 Z00M - 2001. 4.1 MP (2272 x 1704), MSRP $1099. Donated by Bill Wray of San Francisco. Bill is a camera collector's dream donor. Not only is the camera in like-new condition, but he saved everything that came with the camera. Even the manuals are without marks inside. He also had several items I haven't come across before - a floppy disk adapter for SM cards and an 8 1/2 x 11 bound reprint of the Olympus manual. Inserting an SM card into the floppy adapter allows recording the images into a computer by way of the floppy drives which were a common feature of PCs at that time. We collectors wish every camera owner was like Bill, saving everything and keeping everything in like-new condition. I've purchased more than one hundred original manuals for my collection because the owners lost them or decided to sell them separately. In some cases, I've had to pay more for the manual than for the camera! 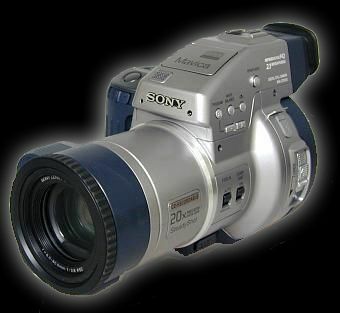 SONY MVC-FD75 - 2001. Floppy disk camera. Notable only because it was the last of the early model Mavicas similar to the FD5 and FD7 of 1997. 640 x 480 pixel CCD. MSRP $399. APPLE iPod 8541 - 2001. Apple's first generation iPod was introduced in October of 2001 at $399 for the 5GB version and $499 for the 10GB version. Production was terminated in July of 2002. Donated by In and Som Hwang. CANON A20 - 2001. 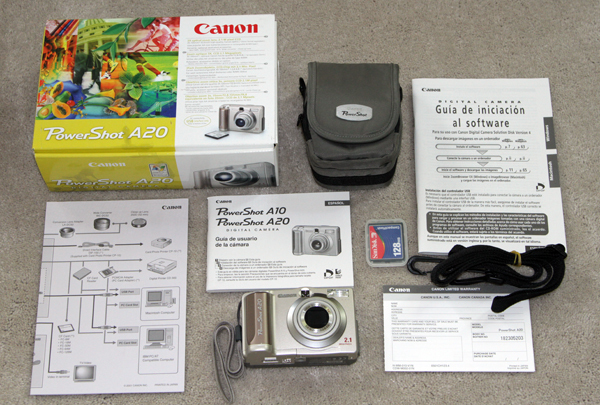 At PMA in 2001 Canon announced two new PowerShot cameras aimed at the entry level market, the A10 and A20, based on the same body, system, 3x zoom lens and body design, they differed only in their resolution (and price), the A10 had a 1.3 megapixel sensor and a retail price of US$400, the A20 had a 2.1 megapixel sensor and a retail price of US$500. Resolution 1600 x 1200 pixels, lens F2.7-F4.8, shutter 1 sec to 1/1500 sec. The above camera complete as sold and in mint condition was donated by my older brother Jim and his wife JoAnne. Would that all camera owners retained all the items that originally came with their camera - every camera sold today will someday be a collector's item! FUJI FP 2600 Zoom - 2001. 1600 x 1200 pixels. ISO 100. 38-114 mm zoom. Shutter 1/1000 sec to 1/2 sec. $250. FUJI FP 2800 Zoom - 2001. 1600 x 1200 pixels. ISO 100. F/2.8 38-228 mm zoom. Shutter 1/1500 sec to 1/2 sec. $399. MUSTEK MDC-3000 - 2001. Still / video camera. 1600 x 1200 pixels. F2.8 fixed. Shutter 1/2500 sec to 1/30 sec. $199. POLAROID i-Zone Webster - 2001. 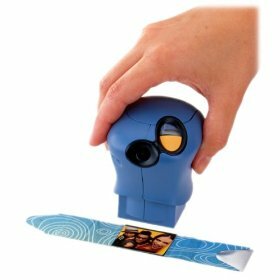 Mini photo scanner. 200 x 163 pixels. Twenty image capacity. $50. SONY DSC-S85 - 2001. Donated by Tatiya Hwang. 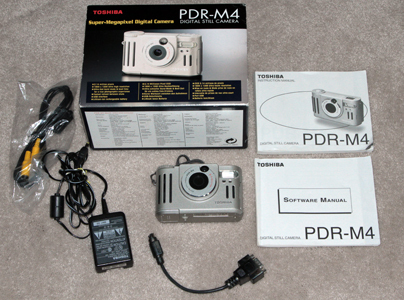 First 4 MP consumer digicam. Lens f2.0-f2.5, 34-102 mm. Shutter 8 sec to 1/1000 sec. $800. SONY MVC-CD400 - 2002. 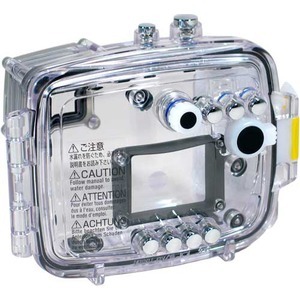 Mini disc camera. 2272 x 1704 pixels. ISO 100-400. F2 34-102 mm zoom. Shutter1/1000 sec to 8 sec. $899. NIXVUE VISTA - 2002. 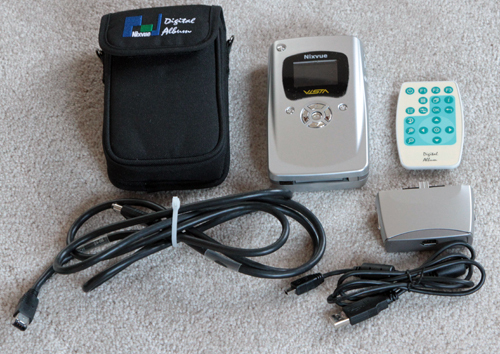 In 2001 Nixvue came out with the Nixvue Digital Album for downloading and storing digital images while on location. in 2002 they followed up with an improved version, the Vista. The Vista came in 5, 10, 20 and 30 GB capacity. MSRP for the 10 GB model was $550. Donated by my beautiful daughter, Tatiya. GRIFFIN iTrip- 2003. 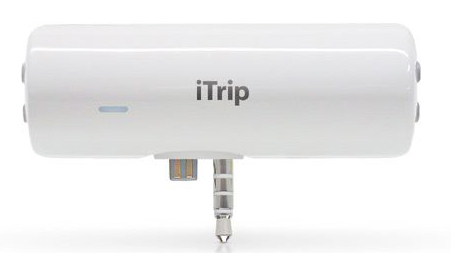 Apple iPod users connected the iTrip to an iPod and the iTrip displayed tuning controls and a SmartScan button. The technology helped find the best frequency to broadcast music, podcasts, and audio books to any nearby FM radio, such as a car stereo. $69.99. Donated by In and Som Hwang. APPLE iPod A1040, Third Generation - 2003. 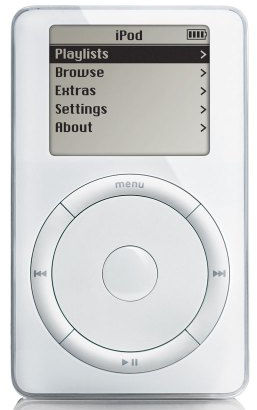 Apple's 3rd generation iPod was introduced in April of 2003 at $299 for the 10GB version and $399 for the 20GB version. Later versions were 15GB at $299, 30GB at $399, and 40GB at $499 .Production was terminated in July of 2004. Donated by In and Som Hwang. SONY DCR-PC350E - 2004. 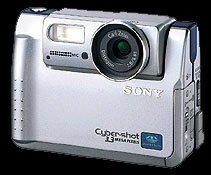 Sony Handycam. KONICA MINOLTA MC-DG300 - 2004. Sample of protective case for underwater photography. 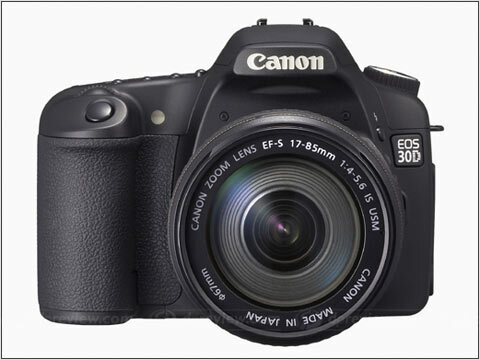 CANON EOS 30D - 2006. 3504 x 2336 pixels. ISO 100-3200. Canon EOS EF, EF-S lens mount. Shutter 1/8000 sec to 30 sec. $1,300. 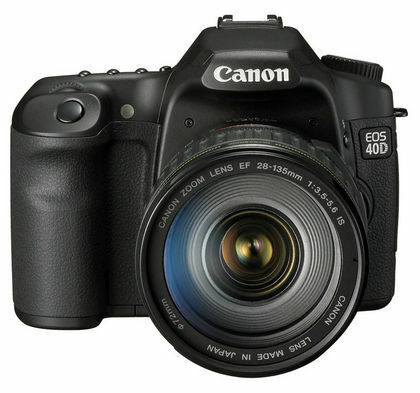 CANON EOS 40D - 2007. 3888 x 2592 pixels. ISO 100-3200. Canon EOS EF, EF-S lens mount. Shutter 1/8000 sec to 30 sec. $1,300. NIKON S210 - 2008. 8.1 MP, ISO 200, 38-114 mm lens, MSRP $189. Not one camera but two were donated by Bill Wray of San Francisco, California, both in like new condition, one black, one plum. These are two of four cameras donated by Mr. Wray, all in like new condition complete in their original boxes. Whether you plan to sell your camera in the future or donate it, it will be worth much more to the new owner if it is in good condition with all the items that came with it, including the box. 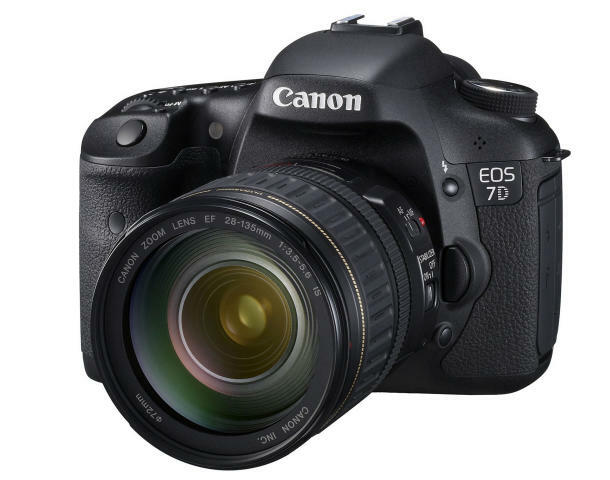 CANON EOS 7D - 2009. Still / live view HD video SLR camera. First APS-C with 18MP and first to use dual image processors. 5184 x 3456 pixels. ISO 100-12800. Canon EOS EF, EF-S lens mount. Shutter 1/8000 sec to 30 sec. $1,700.